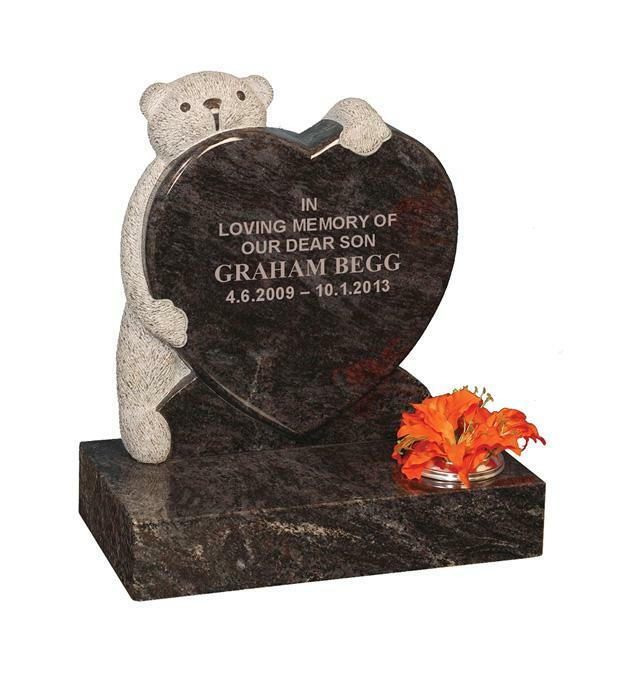 A 'Bahama Blue' granite heart shaped memorial with a hand carved teddy hugging from behind ensures no two will ever be the same. Can also be supplied with teddy hugging a circle instead of a heart. Trade customers please log in to view Begg purchasing options.